Plasmids can be used as cloning vectors, allowing the insertion of exogenous DNA into a bacterial target. All engineered vectors have an origin of replication, a multi- cloning site, and a selectable marker. Expression vectors (expression constructs) express the transgene in the target cell, and they have a promoter sequence that drives expression of the transgene. 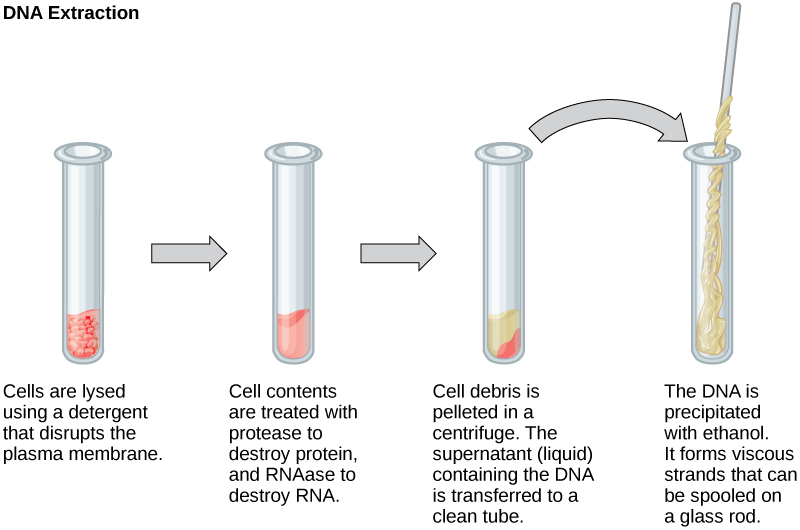 Transcription is needed for a plasmid to function, without the proper sequences to transcribe parts of a plasmid it will not be expressed or even maintained in host cells. 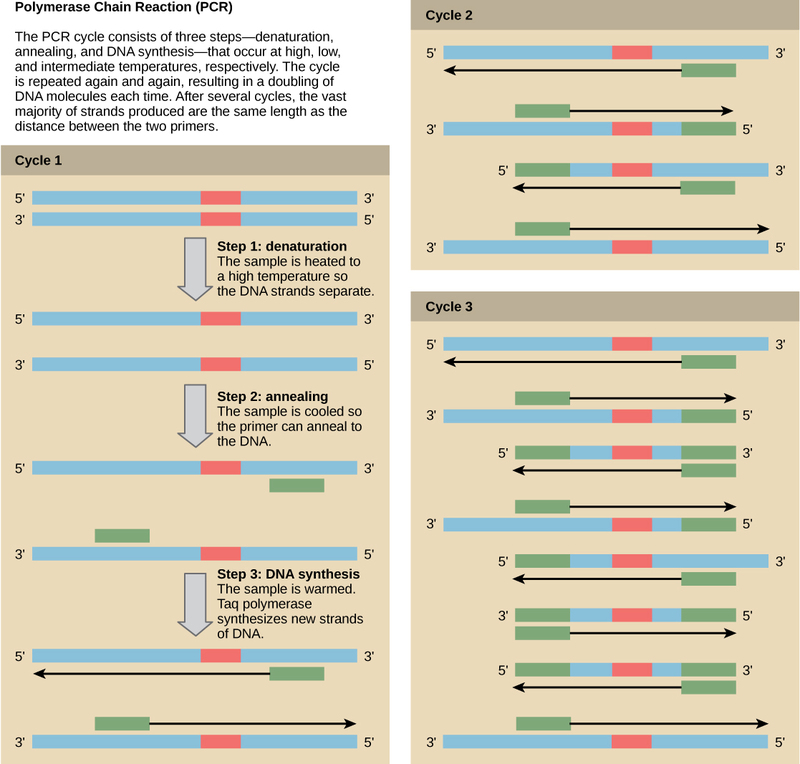 Vectors can have many additional sequences that can be used for downstream applications—purification of proteins encoded by the plasmid and expressing proteins targeted to be exported or to a certain compartment of the cell. Kozak sequence: a sequence which occurs on eukaryotic mRNA and has the consensus (gcc)gccRccAUGG. The Kozak consensus sequence plays a major role in the initiation of the translation process. The sequence was named after the person who brought it to prominence, Marilyn Kozak. In molecular biology, a vector is a DNA molecule used as a vehicle to transfer foreign genetic material into another cell. The four major types of vectors are plasmids, viral vectors, cosmids, and artificial chromosomes. All engineered vectors have an origin of replication, a multi-cloning site, and a selectable marker. The vector itself is generally a DNA sequence that consists of an insert (transgene) and a larger sequence, which serves as the “backbone” of the vector. The purpose of a vector that transfers genetic information to another cell is typically to isolate, multiply, or express the insert in the target cell. Vectors called expression vectors (expression constructs) express the transgene in the target cell, and they generally have a promoter sequence that drives expression of the transgene. Plasmids are double-stranded, generally circular DNA sequences capable of automatically replicating in a host cell. 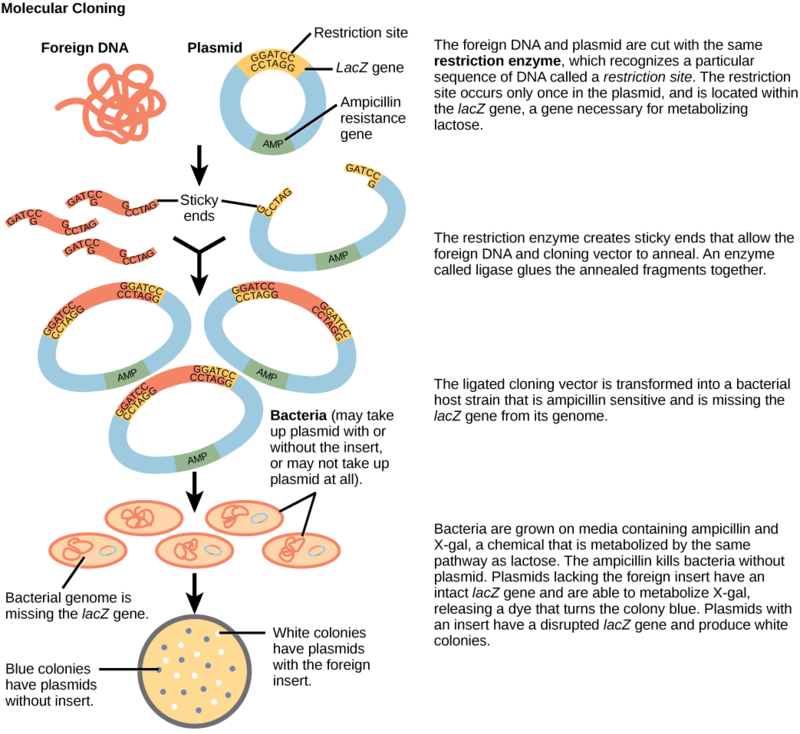 Plasmid vectors minimally consist of the transgene insert and an origin of replication, which allows for semi-independent replication of the plasmid in the host. Modern plasmids generally have many more features, notably a “multiple cloning site”—with nucleotide overhangs for insertion of an insert—and multiple restriction enzyme consensus sites on either side of the insert. 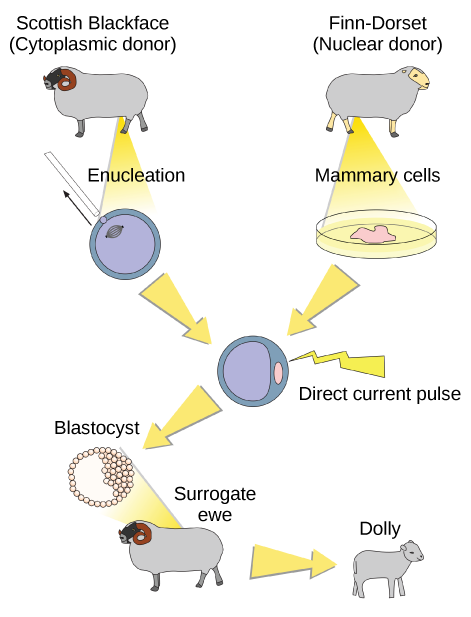 Plasmids may be conjugative/transmissible or non-conjugative. Conjugative plasmids mediate DNA transfer through conjugation and therefore spread rapidly among the bacterial cells of a population. Nonconjugative plasmids do not mediate DNA through conjugation. 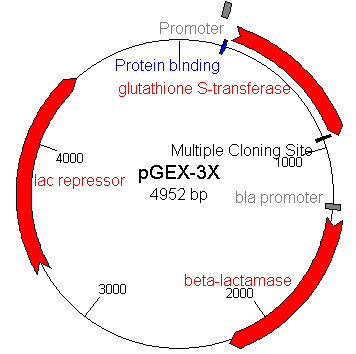 Bacterial Cloning Vector: The pGEX-3x plasmid is a popular cloning vector. The various elements of the plasmid are labelled. Transcription is a necessary component in all vectors. The purpose of a vector is to multiply the insert, although expression vectors also drive the translation of the multiplied insert. Even stable expression is determined by stable transcription, which depends on promoters in the vector. However, expression vectors have a two expression patterns: constitutive (consistent expression) or inducible (expression only under certain conditions or chemicals). Expression is based on different promoter activities, not post-transcriptional activities, meaning these two different types of expression vectors depend on different types of promoters. Expression vectors require translation of the vector’s insert, thus requiring more components than simpler transcription-only vectors. A polyadenylation tail at the end of the transcribed pre-mRNA: This protects the mRNA from exonucleases and ensures transcriptional and translational termination and stabilizes mRNA production. Minimal UTR length: UTRs contain specific characteristics that may impede transcription or translation, so the shortest UTRs are encoded for in optimal expression vectors. Kozak sequence: a vector should encode for a Kozak sequence in the mRNA, which assembles the ribosome for translation of the mRNA. The above conditions are necessary for expression vectors in eukaryotes, not prokaryotes. Promoter: a necessary component for all vectors, used to drive transcription of the vector’s transgene. Genetic markers: Genetic markers for viral vectors allow for confirmation that the vector has integrated with the host genomic DNA. Antibiotic resistance: Vectors with antibiotic-resistance allow for survival of cells that have taken up the vector in growth media containing antibiotics through antibiotic selection. Epitope: A vector containing a sequence for a specific epitope that is incorporated into the expressed protein. Allows for antibody identification of cells expressing the target protein. Reporter genes: Some vectors may contain a reporter gene that allow for identification of plasmid that contains inserted DNA sequence. An example is lacZ-α which codes for the N-terminus fragment of β-galactosidase, an enzyme that digests galactose. Targeting sequence: Expression vectors may include encoding for a targeting sequence in the finished protein that directs the expressed protein to a specific organelle in the cell or specific location such as the periplasmic space of bacteria. 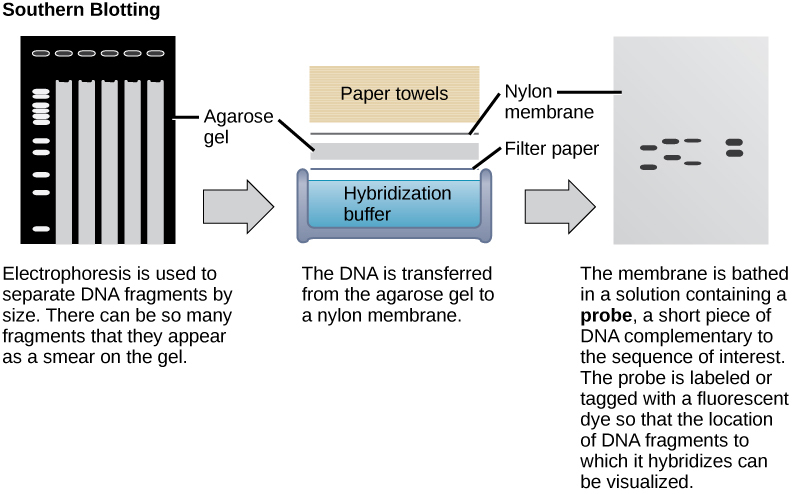 Protein purification tags: Some expression vectors include proteins or peptide sequences that allows for easier purification of the expressed protein. Examples include polyhistidine-tag, glutathione-S-transferase, and maltose binding protein. 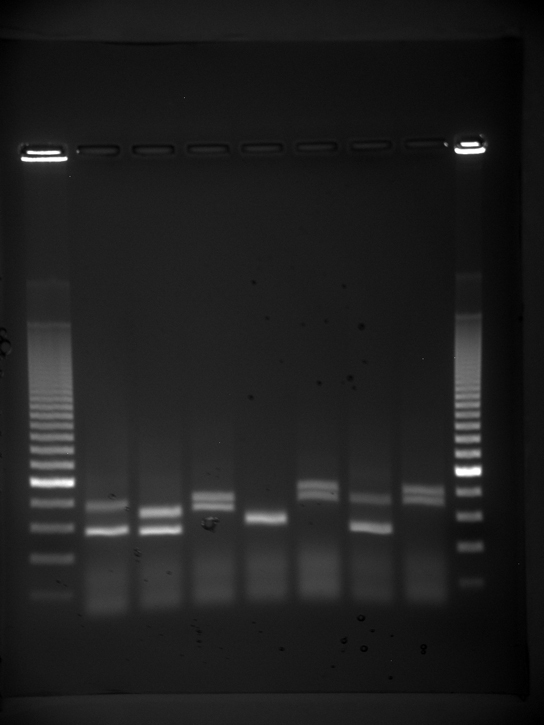 Some of these tags may also allow for increased solubility of the target protein. The target protein is fused to the protein tag, but a protease cleavage site positioned in the polypeptide linker region between the protein and the tag allows the tag to be removed later.